Rockin’ Boys love to party, so naturally we love parties that have really cool theme. Today we invited Stephanie from the awesome blog Spaceship and Laserbeams to share some tips on how to throw an awesome mad scientist birthday party. Do you have a child that frequently asks “why” and “how”? 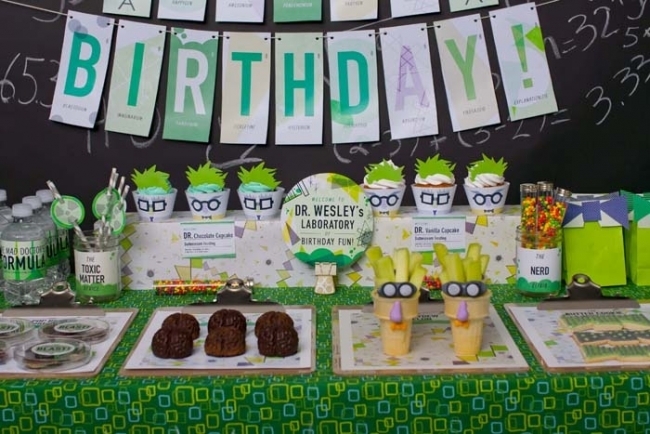 A mad scientist birthday party theme would be perfect! Mix in some experiments with that birthday cake! You can focus on all sorts of interesting activities; kids think they’re just having fun but they’re actually learning, too. 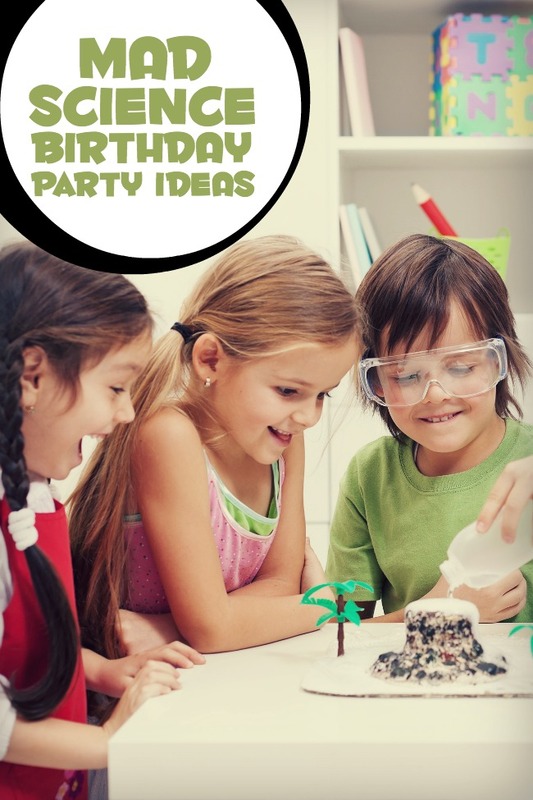 Mad Scientist Birthday Party Ideas! Pull kids into your laboratory by providing a few costume pieces as soon as they arrive. White lab coats and oversized glasses (check the dollar store and remove the lens) or safety goggles, plus an official looking identification lanyard, will make young guests feel important. No lab coats? Extra-large white t-shirts, cut up the front, are an inexpensive option. A mad scientist can explore whatever frontier will most appeal to your birthday boy/girl. Your science lesson might focus on the human body, food science, astronomy, or whatever… Once you determine what your scientific team will explore, you can build your decorations around that idea. Whether you decide to go all out and construct an entire laboratory or give the suggestion of one over your dessert table, you might want to include a chalkboard backdrop scribed with formulas or a periodic table chart. Microscopes, test tubes, beakers and bottles of faux specimens add to the effect. Dry ice in a few beakers provides a mysterious experiment effect—just remember to keep it out of the reach of curious little fingers! Giving party food themed monikers adds extra fun. Use terms such as quantum leap, ions, electrons, and molecule. Test tubes are great for holding small candies. You’ll get extra points for food in beakers and petri dishes! Wrap water bottles in “doctor’s secret formula” labels; clear plastic cups marked with a sharpie can look like beakers or specimen cups. Of course you’ll want to plan several experiments for the kids to participate in. Have everything set up and measured so no one becomes bored while waiting. Don’t forget to protect your tables with plastic tablecloths or kraft paper. You’ll find tons of instructions for activities if you google “science experiments for kids”. Erupting volcanoes, growing jelly marbles, and making slime are a few of the popular choices. For that next birthday celebration, serve up some scientific interests along with the cake for an A+ party. Do your homework and the experiments you choose will provide all the answers to “why”! 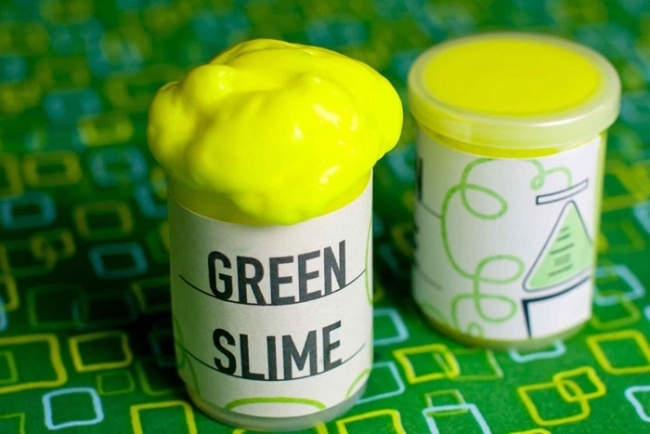 What would your kids love to see at a mad scientist birthday party?